In 1870, gold was worth, on average that year, $18.93 per ounce. Today the gold price is chopping around the $1,300 per ounce level. That’s a 6,767% total gain. Impressive, sure, but that’s over a long time, almost 150 years. How has an investment with gold kept pace with inflation? According to the Bureau of Labor Statistics consumer price index, the dollar experienced an average inflation rate of 1.99% per year between 1870 and 2018. Prices in 2018 are 1,750% higher than prices were in 1870. Which means the gold price has outpaced inflation by almost 300%. Gold, throughout the history of mankind, impervious as it is to dilution or the will of man to create more out of thin air, has been a phenomenal investment. Given the unprecedented rate at which the US government is screaming into an un-repayable debt abyss, complicit with the dollar-diluting, currency-value-destroying Fed, even wagering $4.00 on the nickel that gold will continue to obliterate future fiat currency returns is a wise, time-tested bet. 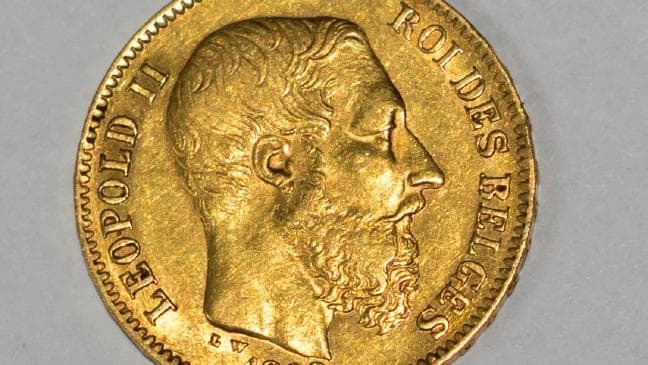 WORKERS have made an unexpected discovery when demolishing an uninhabited house in France — 600 gold coins. A paramilitary police officer said the workers discovered the coins in the cellar after rattling a mysterious, shell-shaped container. The gendarmerie said the treasure found in Brittany, a region in northwest France, has since been put under lock and key until they uncover more information about its origin.